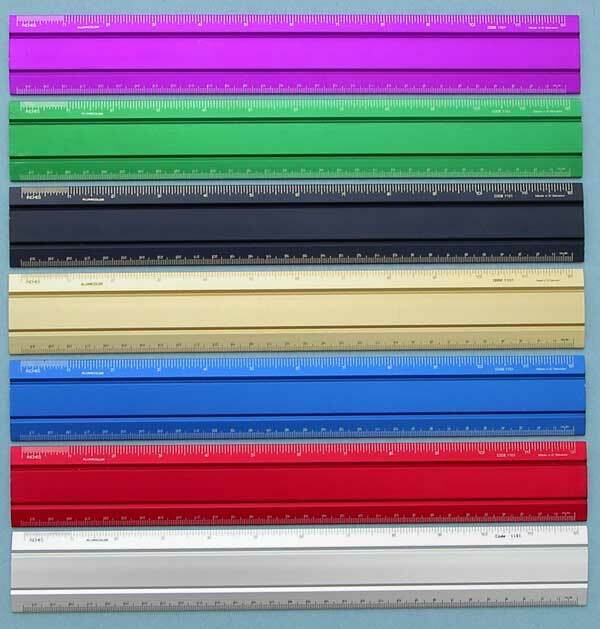 Alumicolor® Office Ruler is the ultimate for executive use and appearance. 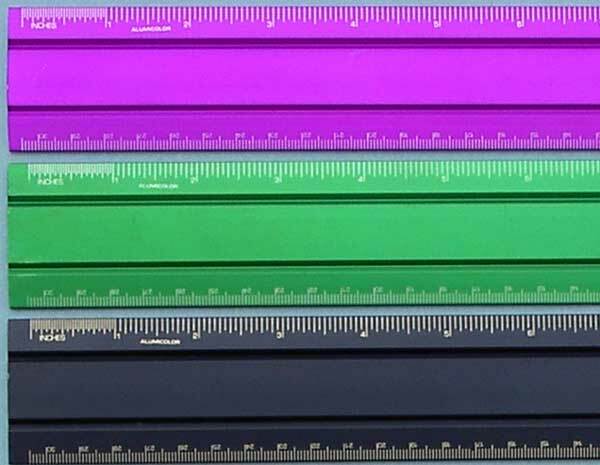 The inch and centimeter calibrations are imprinted using the Alumicolor® photo anodizing process, which makes the calibrations a permanent part of the aluminum. 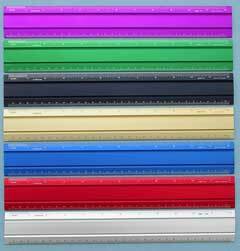 Attractive parallel grooves and beveled edges are also raised inking edges. Great for gifts, promotional programs or holiday gift giving.